Super Smash Bros. Ultimate Coming to US College Football Games! 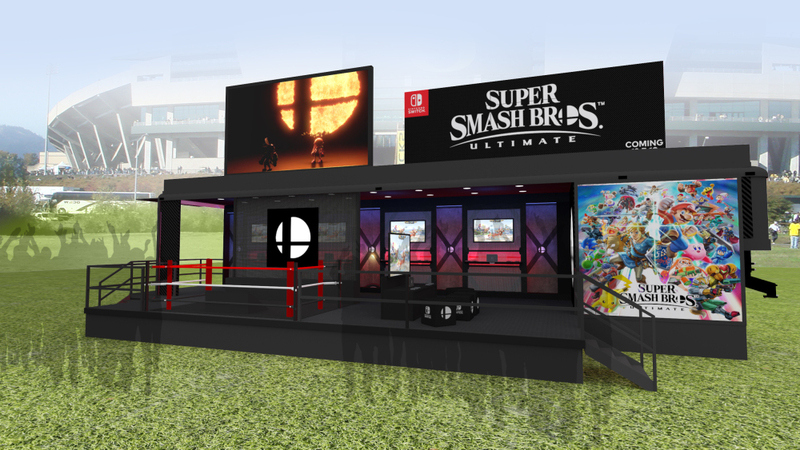 In another move to ensure Super Smash Bros. Ultimate‘s success, Nintendo have announced that the game will be appearing at notable college football matches around the U.S. in the weeks leading up to the game’s launch on December 7th. The events are in partnership with Wendy’s College Tailgate Tour, and promise “an interactive fan focused, college football pre-game experience”. This includes a customized Super Smash Bros. Ultimate branded trailer, six gameplay stations, and a large LED display screen. Many of our biggest fans are now in college and have memories growing up playing one of the games in the Super Smash Bros. series. We want to bring Super Smash Bros. Ultimate directly to longtime and first-time players, and what better way than to combine two of college students’ favorite pastimes: video games and football. The setup will invite fans to take part in impromptu battles with their friends, with the victors receiving branded promotional items. It also promises to be highly visual, giving participants plenty of photo opportunities. What do you think of Nintendo’s approach to marketing for the new Smash? Will you be attending any of these events? Let us know in the comments below (who knows, you might even meet some of us there! ).